The last several decades have seen several crucial components that make the dream of worldwide access to effective, standardized, outcomes driven evaluation and treatment for autism finally something that could come true. 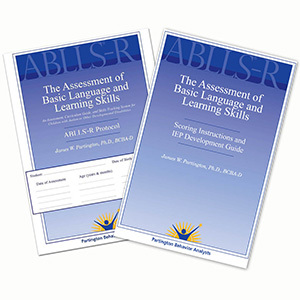 First, since Ivar Lovaas began to prove that early, intensive therapies could dramatically improve the ability of children with autism to learn and develop a broad range of skills, standardized protocols have emerged that allow for larger numbers of children to be more systematically treated and outcomes monitored (we use the VB-MAPP and the ABLLS-R). This is important, because it allows for a dream like being able to actually compare outcomes of your local autism provider to global averages and the historical data provided by large research studies. This is what happens if you are diagnosed with cancer, for instance — but look carefully at the autism industry. Ask how many autism providers can actually tell you the percentage of their children who obtain clinically significant gains in tested IQ, or how many achieve mainstream school placement. In spite of these being the main outcomes used to demonstrate the efficacy of ABA/EIBI therapy, they are not used by a surprisingly large number of practitioners in the field. Second, since Dr. Lovaas, over decades, an entirely new field of providers (by training, most of the early behavior analysts were psychologists, and many senior leaders in the field are still products of psychology doctoral training) emerged. The streamlined process by which board certified behavior analysts enter the field at either the master’s or doctoral level, as well as the formal creation of junior level leaders such as board certified assistant behavior analysts (BCaBA’s — we actually just had our first ABA Tutor complete this credential), really help accelerate the broadbanding of intensive autism services. The standard for master’s behavior analysts — two years of schooling and 1500 hours of post-degree experience — for instance allows for much more rapid entry into the field, say, than the training in my specialty (4-5 years of graduate school, with 3-4 including intensive clinical work, one year of full-time clinical internship training, and two years of full-time clinical fellowship training). Within the scope of practice of ABA, these providers can still be highly effective, and this can help us address the need for thousands of behavior analysts. Third, innovations including the Autism Diagnostic Observation Schedule (ADOS) allow for more systematic diagnosis, including pushing age of diagnosis back from the 4-5 years of age median at this point, and the 8 years of age peak, towards the 18 months of age mark, where some diagnoses can be valid, and perhaps even to 12 months when paired with electrodiagnostics. Thus, we now have the scientific basis for a technologist (like me) to take these three elements and scale them into a national and ultimately global treatment provider system. I’m not the only one — and others are far ahead of me (most particularly Dr. Granpeesheh and her team at CARD). However, this raises a whole new problem. The transition from seeing children with autism throughout my clinical training to serving them full-time and managing a treatment team was a substantial one for me, and I had to re-write and improve almost everything about how I do what I do over the last two years. With my core clinical team, we can create a master process and a pipeline for ongoing improvement of that process (we have), and demonstrate that it produces outcomes in line with research literature (we are doing so). But unless I can infuse the DNA of that system into many clinicians on my team, I cannot be in many places at once. This is important to me — I want to create a revolution that can serve thousands and tens of thousands of children — not just the 200 I can see clinically in a year for evaluations or the 20-25 my lead behavior analyst can treat with her team. So, the biggest act of daring on my mind right now is learning to step back, and drive this process indirectly. To bring on board additional psychologists and other diagnostic practitioners, and trust them to extend the working diagnostic and treatment management system I created. To bring on more and more behavior analysts, and trust them to extend the process my lead behavior analyst and I have created. To build and continually use tools that allow me to trust that the infrastructure we create scales from 20 children to 2,000 without loss of quality. Quite the contrary, by the time we have 2,000 children in intensive services, I want our system to produce far better outcomes than we believe are possible today. 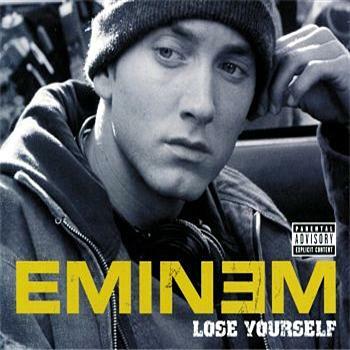 I recently tweeted one of my favorite lyrics, from Eminem’s Lose Yourself. “If you had one shot, or one opportunity, to seize everything you ever wanted – one moment – would you capture it, or just let it slip?” In order to build the thing I want, and the thing I believe the AutismFamily needs, the radical transformation in myself I made in the last two years is just the beginning. In the months to come, I will be faced with many more hard choices, and I will transform my professional skill set so radically as to be unrecognizable from today, let alone when I left my fellowship two years ago. And I will do it again, and again. Because I will not let it slip. Fifty years after Dr. Lovaas began delivering radical benefits to children with autism, only a tiny fraction of the world’s children who need EIBI get it. I have perhaps a little less than 30 years left in my career, depending on where the retirement age settles by the time I get there. I can tell you that, in 30 years, which will be almost 80 years after Lovaas began his work, I will not leave the world in the state that I found it, where lucky or wealthy children receive ABA while others get readied for a life of dependence. I will seize this like I have just one opportunity.